United came after City brilliantly in the second half and snatched a remarkable 3-2 victory after the hosts went 2-0 ahead in the first half. 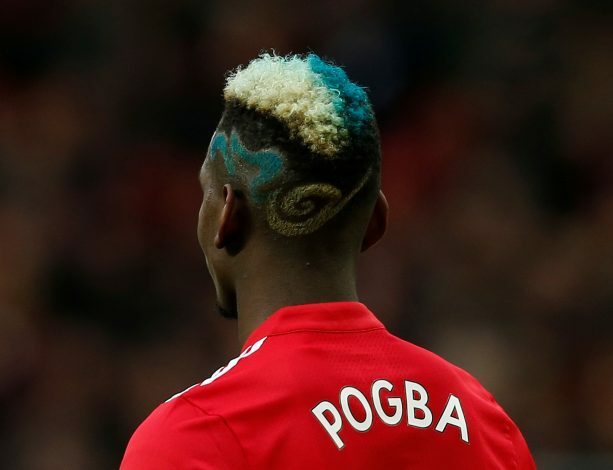 Paul Pogba, who did not have much influence in the first half dominance by City, scored two goals in the second half to change the complex of the tie. The Frenchman has been the talking point for United all season, and there were reports stating that Jose Mourinho was not happy with the player’s influence in the side. But it seems like he is a mainstay in this United team despite being out of form in between and also being out with injuries. What sparked all the controversy was when his agent Mino Raiola lashed out against Pep Guardiola. Reports state that all the hatred against Pep originated from the manager’s treatment of clients Zlatan Ibrahimovic and Maxwell at Barcelona. Guardiola responded by stating that the agent had offered Henrikh Mkhitaryan and Paul Pogba in the January transfer window to City. He further added that City cannot afford Pogba, and fuelled speculations on what is happening at United regarding one of their star player. Pep Guardiola and Paul Pogba have been the centre of attraction since the former’s comment. And now, after both hugged each other after the derby on Saturday, there has been quite an interest from the fans about what Pep must have said to the Frenchman. However, City’s official twitter account has cleared the confusion by posting Guardiola’s comments on the incident. #PEP: (On chat with Pogba at full-time) I congratulated him about the result. Meanwhile, Jose Mourinho took a dig at the incident by saying his price has gone up after the two-goal show. “I wasn’t asking Paul to improve because I was happy with what he was doing in the first half, then he scored two great goals. If his agent was offering him to some clubs, the price has now gone up a lot,” said the Portuguese.